Mr. V. called me during my election campaign in November 2017. He had been living in TMR since 1959 if I recall, when Acadie Boulevard was only two lanes wide and TMR extended up to the current middle lane. Mr. V. still had old videos of his house and neighborhood to prove it. My conversation with Mr. V. reminded me of a project I had in the back of my mind, when I discovered a website that lets you explore historical New York City photos. When I meet older Townies who have spent most of their lives here in TMR, whether born here or having raised their family here, I cannot help but wonder of all the photographic treasures of TMR they hold and that might disappear once they move on. This thought is reinforced by the residents who take to the microphone during Town Council meetings, to share their concerns for our architectural heritage and for a Heritage Committee (or should I say, to bring back the Heritage Committee which the City had from 2002 to 2007, and again in 2008). Town of Mount Royal did a great job with centennial audio interviews with citizens of TMR and with the book The Royal Gift that captured our Town’s fabulous history (both items are available at the Reginald J.P. Dawson Library). If only TMR had an historical society like they have in Longueuil, Pointe-Claire, Beaconsfield, Plateau-Mont-Royal, and île Bizard. How did our homes and our streets looked like in the 1940s and 1960s, or even twenty years ago? Wouldn’t it be cool to record and share the architectural history of our Garden City? Enter The Heritage Project I created on Historypin. I love the fact that Historypin is free and quite easy to use, that everybody can ‘pin’ old photographs to a collection, and most of all, that you can view an old photo of a house on to an image of the same house as captured by Google Street View today. 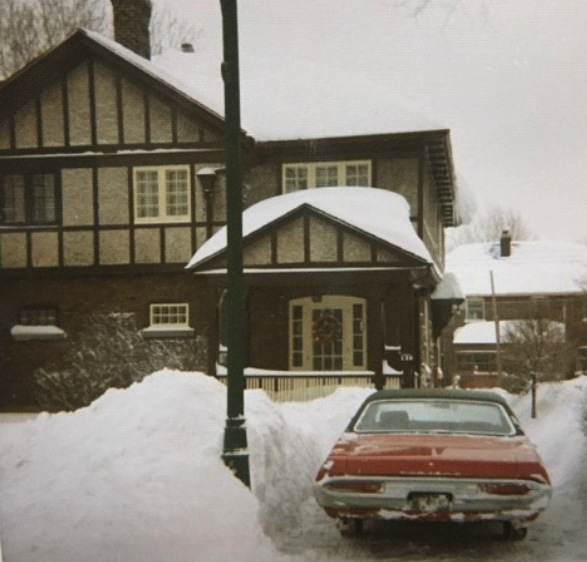 I invite you to view the video by Ottawa’s Civic Hospital Neighbourhood History & Heritage Committee , which shows how to use Historypin in great detail. Click here to view how to contribute to a Collection – or how to pin your photo or video to The Heritage Project. Do you have old photos of the front of your house or of your street that you would like to add to The Heritage Project? Pin away! Previous Et le Royalmount, lui?